I chose my topic on international adoption because I am adopted from China. Being adopted internationally means leaving your home country and birth culture and first language, and having to learn the culture and language where you live now. You lose your first family, too, in adoption. But you get a new family to love you and take care of you forever. And in your new country, you can still learn about your first language and birth culture and home country, but it can be hard work. Because I’m adopted, I thought I knew a lot about adoption. I do know a lot about adoption from China, but I didn’t know much about how international adoption started. I didn’t know there were problems with international adoption. And I didn’t know about the Hague Convention, which was passed to fix some of those problems. International adoption started after WWII. Children orphaned in the war were adopted in Belgium, England, and the U.S. Transracial adoption means adoption where the race of the children and the parents are different. An example of that would be an African American family adopting a child or children from China. Some of the first transracial adoptions in America were white families adopting Japanese children after the war. International adoption often happens in very poor countries. Example: China was a very poor country. Another example is Guatemala because the money that international adoption brings to Guatemala caused people to break laws to find children to offer for adoption. Sometimes, people would buy children so they could then place them in adoption for large adoption fees. Sometimes children were stolen from birthparents. Many countries worried that the adoption process in poor countries was not being handled right. That’s why governments got together and drafted the Hague Convention. The Hague Convention has a really long title: The Hague Convention on Protection of Children and Cooperation in Respect of Intercountry Adoption. The Hague Convention was drafted in 1993 and since been signed by almost 90 countries. The Hague Convention sets out rules for sending countries to make sure that children to be adopted really need families and don’t already have families. It also makes rules for receiving countries to make sure adoptive families will be good families for kids. “Sending countries” mean countries that send orphans to be adopted and “receiving countries” mean where the adopted parents live. Some examples of sending countries are China, Russia, South Korea, Guatemala, and Ethiopia. Some examples of receiving are the U.S., France, Canada, Spain, Italy, and England. I was surprised to learn that the U.S. is also a sending country! Some children from the U.S. have been sent to Canada and The Netherlands to be adopted. Guatemala. Some happy parts are that children have families. Great paper, good luck Zoe on the project. Job well done. Zoe, what an excellent job on your paper. I think it's great that you chose to learn about the history of international adoption, and you did a great job writing about it. My concept of international adoption is so confusing. I am an adult, why can't I find the resources for adults who are looking for adoptive parents. There has to be a way to be adopted by parents in another country. I really wish I had a single Father blog. I am praying they will show me resources to be adopted anywhere. I have grown up suffering from so much I usually wanted to leave the country. 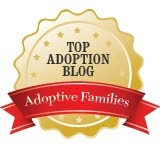 How can an adult be adopted by the adoptive parents without the right resources? I am so mad. The law states you can be adopted at any time. I have a bad feeling most of the time about adult adoptees or adults who want to be adopted and the dangers of being abused. I know there has to be more resources. It is so common and available in the world for adult adoption in other places. I need more resources. I need a resource!